Similar to a school year, a CATS year begins September 1 and runs through August 31 of the following year, with three separate sessions. The Fall Session runs from September through early January; the Winter/Spring Session runs from late January through May; the Summer Session runs June through August. CATS memberships run from September 1 through August 31 of the following year. A League Player membership is required to play on a team. Members may take part in all three sessions, or just one or two, depending on their availability. CATS’ members are divided into four divisions by skill levels: C, B, A, and Open, so players of most skill levels can find a fit. Each division has a Coordinator who coordinates the division draft, handles any problems within the division, and represents the division on the Board of Directors. To determine which level fits you best, consider your skill level in light of the following broad guidelines. Keep in mind that a numeric system can not measure factors such as a player’s size, strength, speed, aggressiveness, use of slice and spin, so there is overlap between the divisions. Members may change divisions over time as their skill levels change. C Division, 2.5–3.0 – This is CATS’ entry level. If you are relatively new to tennis, and you have learned ground strokes and volleys, and you can put the ball into play by serving (most of the time), then this is your level. If you have played previously at the 3.0 level, but you are rusty or you do not want the pressure of fast, aggressive play, this might be the right level for you. B Division B, 3.0–3.5 – If you are a solid 3.0 who can volley well, run and play aggressively, or you are a solid 3.5 on a good day but you sometimes lack control, this might be the right level for you. If you are one of the newly minted 3.5’s in your USTA league or you perform below the top level players in 3.5 level tournaments, then this might be the right level for you. A Division, 3.5–4.0 – If you are an aggressive 3.5, you play multiple times per week or you are at the top level of the players in local 3.5 USTA leagues or local tournaments, or you are a returning or infrequent 4.0 player, this might be the right level for you. 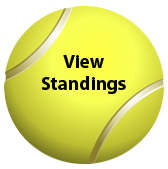 Open Division – If you are one of the top 3.5 players in USTA Leagues and tournaments, or you regularly play at the 4.0 level in leagues and tournaments, this is right level for you. Still not sure where you fit? Come to the annual tryout or talk to one of the Coordinators about your experience and they will help you find a place to start. The C, B and Open Divisions each have four teams, the A Division has six. Usually, each team has six players, including the captain. Each division holds a separate draft night to organize the players into teams for the upcoming session. The division coordinator compiles a list of current players who want to play in the next session and adds any new members to the list. At the draft, the captains take turns selecting players from the list. After the draft, each captain contacts his or her team members to ask for any dates they know they will be unavailable for play in order to plan the schedule for the session. Three team members are scheduled to play each night. Players will be scheduled to play approximately half the nights during a session; each team member will be given an equal number of nights to play. Three players from each team are scheduled to play each evening. Players warm up from 9 PM until 9:15. All four starting players may take a maximum of six practice serves simultaneously at 9:15. In the B and C levels, if both captains agree, players may play the first serve in, instead of practicing serves. Racquet spin will be done at 9:10. The winner of the spin decides to receive or to serve. The other team may select the side of their choice. The serving team must select their two starting players first for the 1st and 2nd rotations. Players rotate after every four games (eight games in the Open division). The winning team is decided by the total number of games won in two hours. No sets are played. Scoring used is the “No-Ad(vantage) system in which the first team to four points wins the game. At 40-40, the receiving team decides which player will receive the serve. At 11 PM, play stops once the game is progress is completed. A team may win a match by one regular game (for example, 20-19) or by a tie-breaker. If teams are tied at 10:55 PM, a 12-point tie-breaker must be played; the first team to seven points by a minimum of two points wins the match. Standings within each division are kept week by week. At the end of a session, the first place team in each division wins, and each member of the winning team may select a prize from the list. If two teams are tied, then the number of games won will determine the winning team. If that is also tied, then the percentage of winning games will be the determining factor.